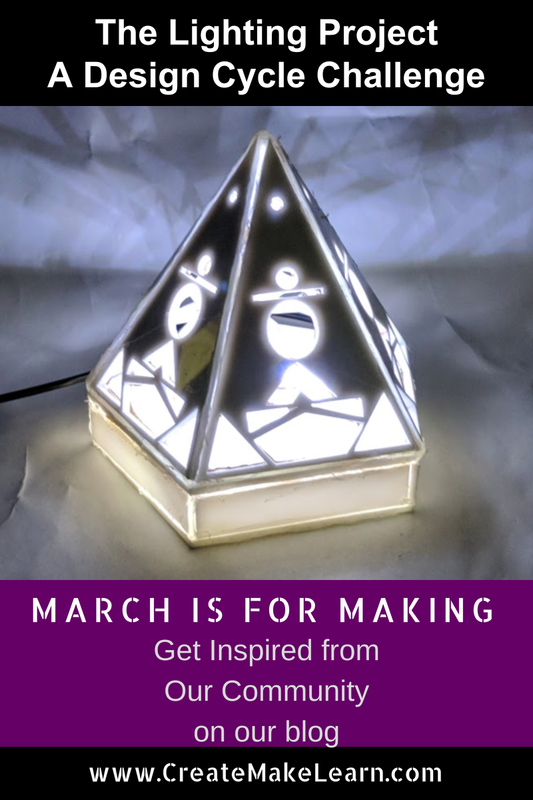 Today’s inspiration in our March is for Making Series comes from Sarah Sutter. Sarah is a design technology and visual art teacher at The American School in Japan in Tokyo. 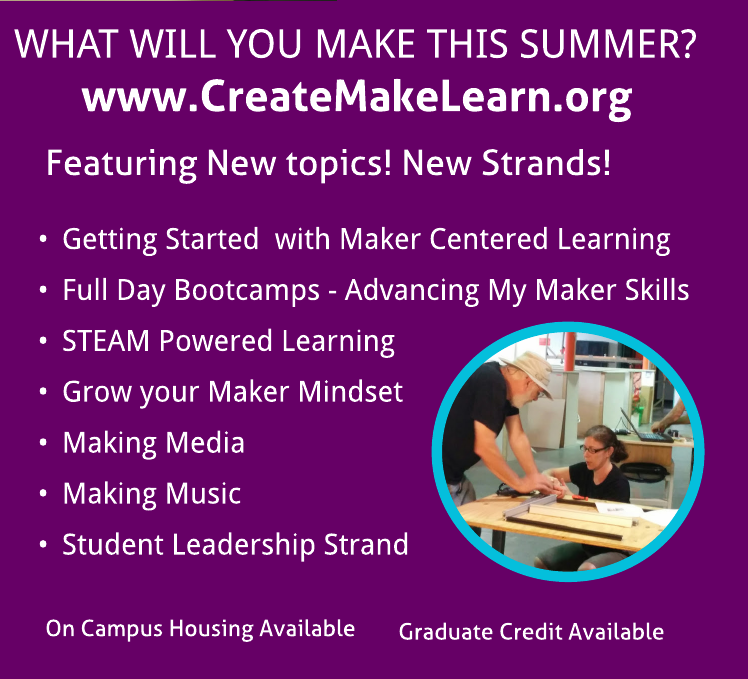 Sarah has been part of the Create Make Learn Summer Institute since 2014, and last year led the advanced workshops for CML. 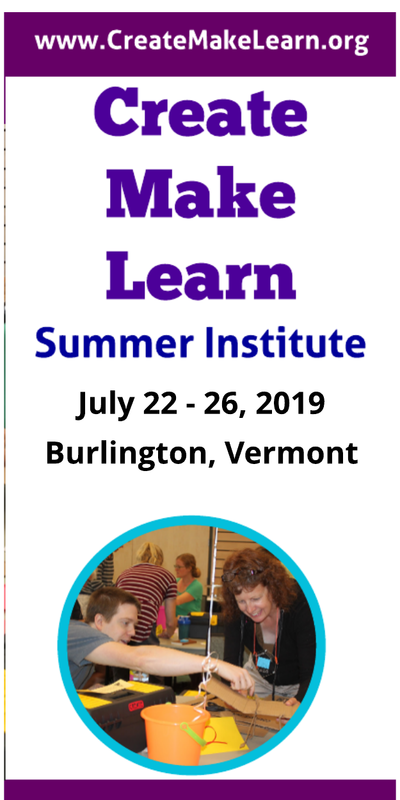 She’ll be back this summer with more advanced Maker skills to share, and I know so many educators who are looking forward to learning even more from her this summer at Create Make Learn Summer Institute. 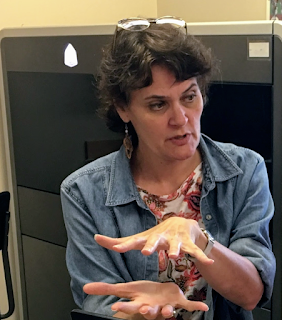 Sarah spends her academic year working with students as a high school art and design technology teacher at The American School in Japan in Tokyo. Her school has a Creative Arts Design Center, now 3 years old, which has 6 rooms dedicated to creative uses of design technology, engineering, computer science, robotics, basic electronics, etc. 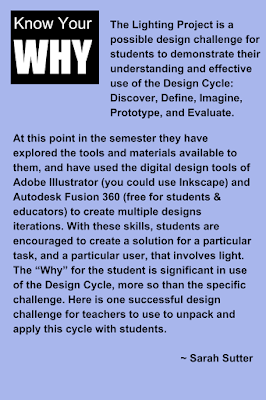 with a focus on design thinking, maker mindset, fab lab concept, empathy, user experience, project based and challenge based collaborative learning. For further inspiration from Sarah and her students, check out sarahsutterteacher instagram or her blog. 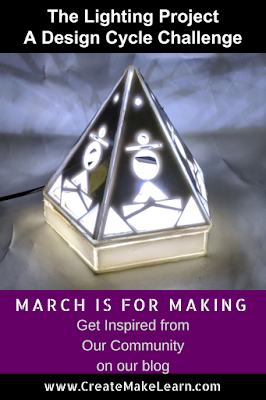 The Lighting Project is one of the Design Challenges we use with our grade 9 students to demonstrate their understanding of the Design Cycle, as well as their skills in using digital design, hand tools and digital fabrication processes to create a creative, functioning, lighting solution. We use Google Presentations as a portfolio tool, one per project, and provide a template for scaffolding the organization of the steps expected along the way. 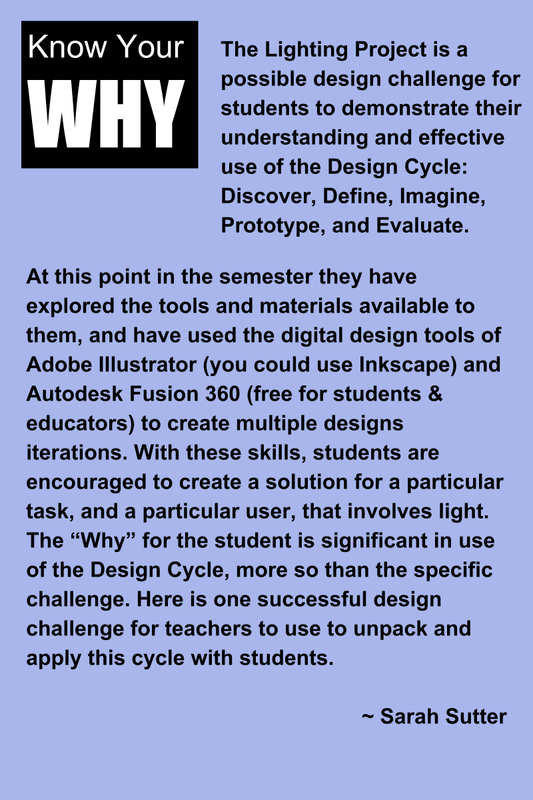 Below is a slide show that gives a basic outline for the project for teachers, and examples of a few of the steps along the way from students this past semester. The LED strip lights and power source adapters that we order are through Amazon Japan, and here are the links. I’m sure your supplier or Amazon US will have these or something similar. The LED RGB cycling bulbs we used with the copper tape circuits are here - link.